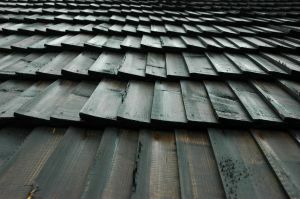 Massachusetts Attorney General Martha Coakley announced recently that her office had reached a settlement in a lawsuit against a man who didn’t properly remove asbestos from roofing shingles as he worked to renovate numerous New Bedford homes. Our Boston mesothelioma lawyers understand that this individual’s actions put not only himself and his employees at risk of illness, but also may have risked the long-term health of the homeowners and neighbors. The defendant, from Acushnet, reportedly owns two of those buildings, which he in turn rents out to tenants. According to the lawsuit, the renovations were conducted between late fall 2009 and the spring of 2011. The defendant hired contractors to do the renovations, part of which involved replacing the roof. It’s not clear whether the defendant realized when the renovations started that asbestos was present. But if he did not, he had a responsibility to find out before work began. The Massachusetts Department of Environmental Protection holds in 310 CMR 7.15 that all owners and/or operators (this includes building owners, renovation contractors, heating and plumbing contractors and flooring contractors) must determine all asbestos-containing material present at the site – friable or not – and whether those materials are going to be impacted by the proposed work. This must be done before a single hammer is swung or nail pounded. Failure to pinpoint and remove all the asbestos-containing material before it is impacted by renovation can result in significant risk of exposure, which means those doing the work are going to incur higher costs for clean-up, decontamination, disposal and monitoring. Of course, many try to sidestep this process altogether by simply not following the law while hoping they don’t get caught. Contractors were spotted power washing dirty asbestos shingles before they ever removed them. This caused asbestos debris to be blasted into the air and onto the ground in the area where the work was being conducted. Contractors were spotted dropping asbestos shingles out the window from several stories up. Those pieces would then shatter in a cloud of dust upon falling to the ground. Contractors were seen covering old asbestos-laden shingles with new ones. They were also drilling into the old shingles in order to install heating vents. All of this resulted in the release of airborne asbestos fibers – which are deadly. The lawsuit additionally stated that the defendant did not follow through in his responsibility to cover, seal or label containers holding asbestos at the construction site. The suit had originally sought fines of $25,000 for each day that the defendant failed to follow proper asbestos abatement laws and/or failed to take proper safety precautions. The exact details of the settlement were not released by Coakley’s office. If you or a loved one is diagnosed with mesothelioma in Boston or elsewhere in New England, call for a free and confidential appointment at 1-888-367-2900.